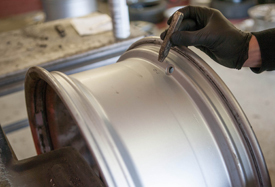 In our Milton Keynes facility, we refurbish wheels for an extensive range of vehicles. 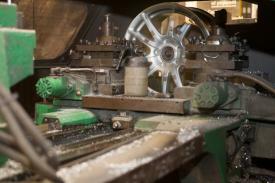 For this reason, we have invested in a series of highly specialised tools, along with engineering skill and experience. There are many different treatments, remanufacturing and engineering processes that are applied at our facility. 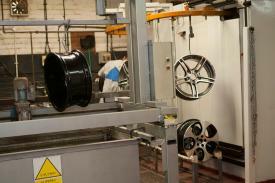 We select the right solution for your wheels, in order to deliver the optimum results. HIGH QUALITY ALLOY WHEEL REFURBISHMENT AT COST EFFECTIVE PRICES. What's the difference between Pristine Complete Wheel Refurbishment and others? The service offered by Pristine is technically 're-manufacturing'. Our repair achieves far more than simply concealing cosmetic damage. The only way to get factory standard quality, at a lower price than the manufacturer, is to come to Pristine Alloy Wheels. "Traditional British Craftsmanship, attention to detail and pride in what they do. It was a pleasure doing business with Pristine Alloy Wheels, their team delivered beyond my expectations in every respect. Their depth of technical knowledge was self-evident and their customer service superlative. The Pristine team genuinely care about the customer, are easy to work with and bend over backwards to provide what you need. 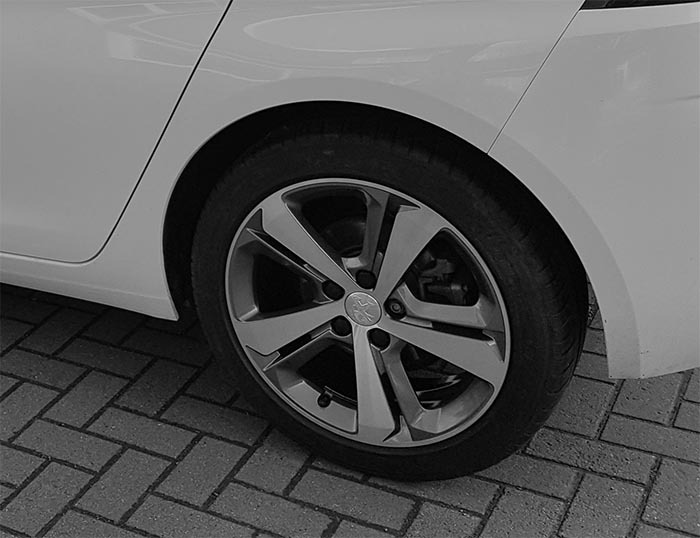 I strongly recommend Pristine Alloy Wheels to anyone looking for the perfect remanufactured alloy wheel." 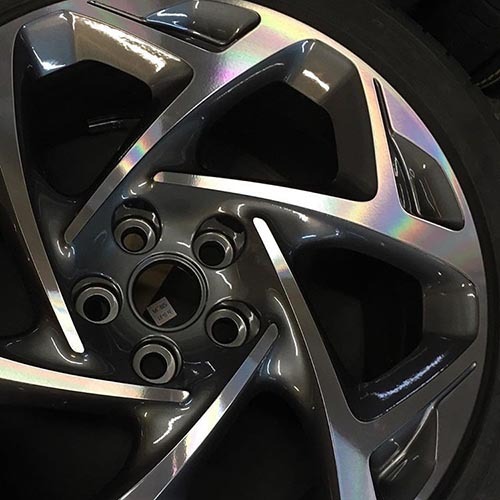 Committed to Professional Alloy Wheel Refurbishment When it comes to refurbishing a wheel, the Pristine approach is to rebuild to exacting standards and achieve a professional finish. 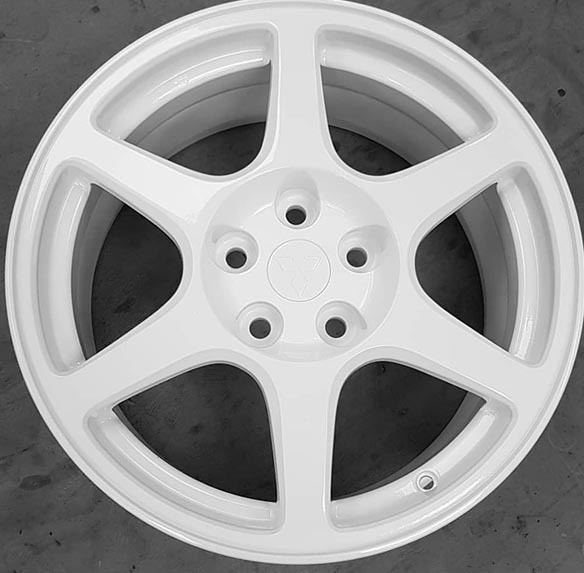 We ensure each wheel retains total integrity in terms of durability and reliability. Some companies use the simple method of grinding down and then polishing wheels to improve their appearance, but this is a risky strategy. By reducing the material and changing the shape, it is easy to weaken and unbalance the wheels, which can compromise integrity and safety. It's a risk you won't be taking when you bring your wheels to Pristine. Our Milton Keynes refurbishment facility is one of the best in the country. We use the latest environmentally friendly chemical stripping processes, machining workshops for a gleaming finish, state of the art painting facilities, for both wet and powder coating, in purpose built ovens. Covering several buildings over 2 acre site, equipment is kept up to date. We regularly invest in CNC Lathes which are used in high precision diamond cutting to ensure that we provide a professional service to all customers. 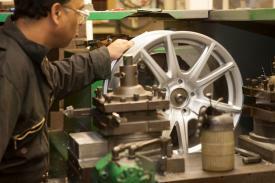 Wheels are individually inspected by hand on arrival and are coded for complete traceability. 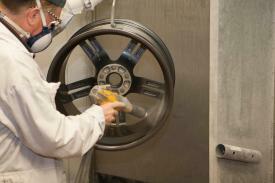 Wheels undergo a special non-corrosive chemical stripping process which removes all old paint and dirt. 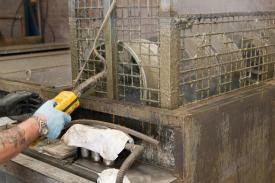 Wheels are blasted to remove final layers of corrosion creating a finish ready for coating. Wheels are welded and repaired where necessary. Wheels are computer lathe turned, taking the material to original manufacturers specification. 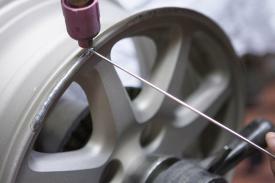 Wheels receive a “de-gassing” which expels moisture, protecting the wheel. 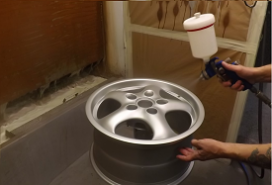 The entire wheel is coated with a powder paint and is oven baked. 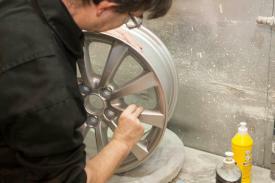 The wheel is put into the wet paint shop for colour finishing. Where a precise and diamond cut finish is required they are machined on a computer lathe. Powder or wet lacquer is added to the whole wheel and it is oven baked once again. Final quality control and inspection. Once approved wheels are protectively packaged. WHAT’S THE DIFFERENCE BETWEEN PRISTINE COMPLETE WHEEL REFURBISHMENT AND OTHERS? The service offered by Pristine is technically ‘re-manufacturing’. This means that our repair does far more than just concealing cosmetic damage. The only way to get factory standard quality at a lower price than the manufacturer is to come to Pristine. Wheels hand checked and coded Chemical stripping DW Wheel flattening/grinding to remove damaged sections.